Livro toque e sinta com texturas. 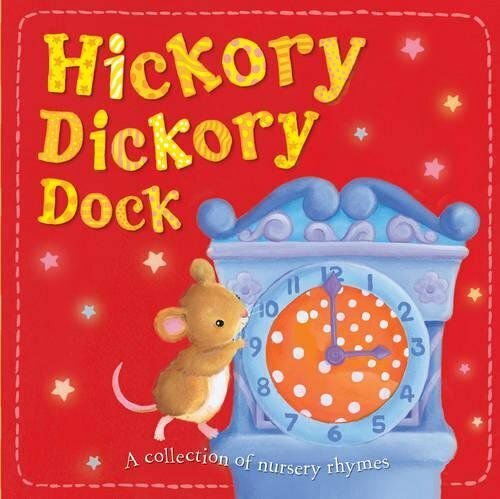 This is a beautiful collection of best-loved nursery rhymes that's perfect for sharing with toddlers. With a squishy padded cover, lots of touch-and-feel textures inside and easy-to-turn pages for little fingers, this is an ideal first nursery rhyme book. Packed full of favourite rhymes (including Hickory Dickory Dock, The Grand Old Duke of York, Mary Had a Little Lamb, Pat-a-cake and Incy Wincy Spider) and with gorgeous illustrations by Gill Guile. If your toddler is learning nursery rhymes and starting to sing to you, then this is the book you need!